Mary Marie "Hattie" Meta (Mork) Rudebeck, b. September 7, 1863, Copenhagen, Jutland, Denmark. D. December 22, 1944, Cedar City, Black Hawk County, Iowa. Parents: Helena "Lena" Dinah (Christiansen) & Hans Mork. 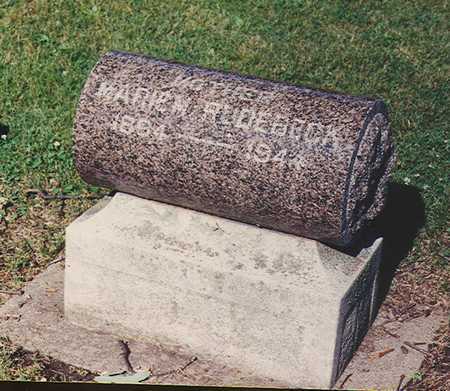 Spouse: Theodore "Ted" Jacob Rudebeck, married March 18, 1887, Cedar Falls, Black Hawk County, Iowa. Children: Johanna, Hans, Karl, Dagmar, Amelia. Searching for MARY MARIE RUDEBECK in Black Hawk County Iowa?